Kevin Hudspeth has substantial litigation experience regarding claims arising under federal and state consumer protection statutes. He also has substantial experience in the areas of repurchase litigation, Uniform Commercial Code litigation, commercial business disputes, and contested foreclosures. Prior to joining Maurice Wutscher, Kevin worked as an Assistant Attorney General with the Office of the Illinois Attorney General, where he litigated actions arising under the Illinois Consumer Fraud and Deceptive Business Practices Act, the Illinois Uniform Deceptive Trade Practices Act, the Illinois Securities Law, and other related statutes. He also participated in the Illinois Supreme Court’s Mortgage Foreclosure Task Force, advising on proposed amendments to the Illinois Supreme Court Rules regarding mortgage foreclosure, and acted as an Official Observer to the Uniform Law Commission’s drafting committee for a proposed uniform law regulating residential foreclosure throughout the country. 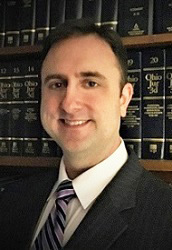 Kevin has taught legal research and writing as an Adjunct Professor with Loyola University Chicago School of Law, and has published articles in academic and trade journals on procedural and evidentiary problems presented in mortgage foreclosure cases, including issues related to the transfer and enforcement of promissory notes. » “The Impact of ABN AMRO Mortgage Group v. McGahan on Already-Issued Foreclosure,” 98 Illinois Bar Journal 520, October 2010. Kevin received his Juris Doctor from DePaul University College of Law, where he was a member of the Law Review, and his undergraduate degree from the University of Illinois. He is a member of the national Mortgage Bankers Association, the American Bankers Association, RMA International, and the American and Cincinnati Bar Associations. He is also an active member of Prince of Peace Lutheran Church in Loveland, Ohio, and a regular volunteer at the L.I.F.E. Food Pantry. He is admitted to practice law in the State of Ohio, and the State of Illinois, as well as in the United States Courts of Appeals for the Sixth, Seventh and Eighth Circuits, and the United States District Courts for the Northern, Central, and Southern Districts of Illinois, and the Northern and Southern Districts of Ohio. He has also been admitted pro hac vice in various jurisdictions around the country.